Beauty consumes a lot of time and energy for most modern-day women. Whether it be shopping for makeup, trying to lose weight, primping before a hot date, fretting over a pimple that shows up the morning of an important meeting, researching and finding the skin care system that’s actually going to work, spending a fortune on anti-aging cremes and visits to the dermatologist… maintaining our appearance is a lot of work! But what if the one thing we needed to enhance our beauty to its utmost was absolutely free? What if it was something we already possess? Right here, right now. Outer beauty is a reflection of our inner experience. At the tail end of my marriage, I remember looking through photos from my father’s surprise birthday party and noticing for the first time what seemed to be a permanent frown on my face. You know… those candid shots where people catch you off-guard? When you’re relaxed, not “putting” on a smile? Just being you? Yeah… that’s when it really hit. That’s when I witnessed that the misery I’d be experiencing inside was starting to show up on the outside. Up until this point, I thought I’d been doing a pretty good job of hiding how I felt. But I was wrong. My deep unhappiness was written all over my face. Staring at the photos that day was my ah ha moment. That was when I realized things had to change. And as soon we decided to set each other free and part ways, you better believe that frown turned upside down. No doubt outer beauty is either magnified or diminished depending on what’s going on inside of us. And what is the magic ingredient for magnifying our inner beauty, which then translates to our outer beauty? And how do we find that joy and inner radiance? By being true to ourselves. By being authentic. By going after what it is we want in life. And never apologizing for who we are but rather embracing every part of us. The good, the bad, and the ugly. Realizing that to be human, is to be imperfect. The funny thing is, once we stop covering up or hiding the things we feel are imperfect, that’s when our true beauty starts to shine. 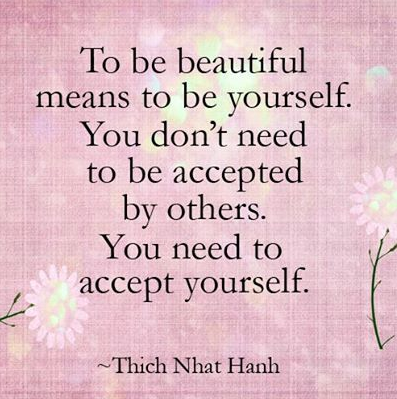 Because true beauty is all about just being YOU. The wonderful, fabulous, imperfect being that you are. If you take a moment, you’ll notice who around you is in touch with their inner joy. It can be seen in the sparkle of someone’s eyes. The lift in their step. The glow of their skin that no amount of makeup or creme could ever replicate. These are the people we feel drawn to. No matter the measure of physical attributes, it’s that je ne sais quoi that sparks our interest when we meet someone. It’s intangible yet undeniably powerful. That is the type of beauty that never fades. It’s timeless and readily accessible at any time. No one and no thing can give us lasting joy. We have to create it for ourselves. Then, once we find it, find what makes us tick, we can share that joy with others. For the more joy we have, the more beauty we exude on all levels of our life. Which creates more beautiful things in and around us that makes life worth living. So how about you? How do you define beauty? When do you feel your MOST beautiful? What brings you joy? What turns you on inside and brings you to LIFE? (#BOAW3) to which I’m a proud contributor for the third year in a row! and for a chance to win a prize! Good point about outer beauty being a reflection of inner beauty. I totally agree! Nice post. I know exactly what you mean about unhappiness appearing in photos! Before my divorce, a friend pointed out that I’d been wearing drab colors and “styling” (if you could call it that!) my hair in a bun. And in some old modeling photos, when I was supposedly beautified by makeup and clothes, I can see the lack of brightness. Awww! Thank you August! As are you 🙂 I’m no where near perfect but I try. haha! It’s all in the intention to better ourselves, right? And along the way, help one another. Since after all, we’re in this together. Thank you ever so much for creating this Blogfest. Love it! You know, I noticed that about the few photos that were taken over the years of my abusive marriage. Even the kids reflected the misery. It wasn’t until we started over, just us, free of his terror and we took other photos that I started to see smiles shine upon our faces. Beautifully said, Ingrid. I was deeply unhappy in my youth. So many people have commented over the years about how much more “beautiful” I am now than when I was young. There is a kind of ugly of the soul that can’t be hidden by physical perfection. Likewise, there is a beauty of the soul that radiates regardless. Great post. Well put. Thank you Piper! 🙂 I didn’t know you when you were young but you certainly radiate now. Funny what happens when we do what we love 😉 Love your new profile pic! We are responsible for finding our own joy and when we do, it will definitely shine through our eyes. Amen. Thank you for sharing Kathryn! It’s refreshing to find people and activities that truly bring me joy, too. Having that joy makes me not care as much about any insecurities … at least for that moment in time … which is all that truly matters! Great post! This is such a great blog post and the perfect addition to the Woman’s Blogfest. I love the way it’s written and expresses everything that it should! Very nice! I love that opening quote you used. I think the sheer lack of photos (and journal entries) was my lowest point. I felt really isolated and the older we get, the harder it is to make friends – not just people you know from such and such or that watch the same TV shows you’re into – but true friends. The kind who won’t judge you or expect you to behave a certain way. I feel most beautiful when I am in their presence because I feel nothing but gratitude that they accept me and let me be me. No one else. Thanks for being one of my rockin friends, Ingrid! Likewise sister! You’re awesome! And so agree… our beauty comes to life when we’re around those we love and who love us back. or the absence of, is such a sign of whether or not we’re in touch with our joy. So glad you’re back to your bliss. Thank you so much for sharing!! And Happy BOAW to you too!! Such a fine post, Ingrid. Truly authentic and joyful … as you say we all should be. You chose two words that I feel should define us in every way. 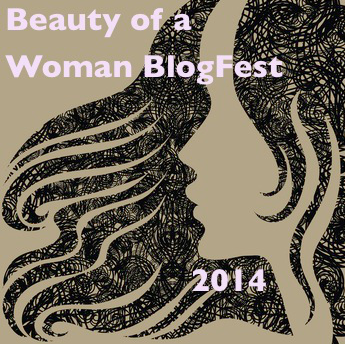 I love being a part of the fabulous BOAW blogfest and having the opportunity to read such empowering posts! Thanks for yours! Me too Patricia! Loved yours as well. Thank you for sharing!! You are so right about life experiences showing on our faces, regardless of how well we think we’re hiding things. It was towards the end of a 9 year career that people started asking if I was okay. I was miserable in the job; underappreciated, overworked, no balance between career and personal life. Awesome Kitt!! And I know all too well what you’re talking about. Just went through that kind of work situation myself. Misery is no fun! Cheers to living our passions and having the courage to pursue what makes us happy! One evening this past December my husband surprised me during a moment of wild giggles and laughter by catching a few pictures of me with his iPhone. I was mortified. I didn’t “do” pictures well… or so I thought. I’d rarely seen a picture of myself (especially a candid) that made me want to do anything save hide it away. Indeed, I’d become the main picture taker in the family because it was the best way to not be in the photos. Eventually he coaxed me to look through the set. Through the blurry “moved just as the shutter triggered” shots there were some amazing gems photos of I woman I barely recognized. She wasn’t the one I saw in the mirror each morning, as I fought yet another hormone change or tried to give some body to my lank hair. She was… vivacious, energetic, pretty… I wanted to meet this woman! He just smiled as I looked over to him a bit stunned. “You needed to see yourself the way I see you,” he said. So, yes, Ingrid, I understand exactly what you mean about seeing what a difference being joyful inside makes. I’m glad you’ve found more inner smiles too. Yes, yes, yes, I agree with every point you made in this post, Ingrid. Beautifully said. I, too, have had periods in my life when I had a permanent frown, times when stress ate away at me. To reach the point where joy takes over and makes life beautiful, despite the numerous sorrowful events taking place, that’s what I wish for everyone. What a difference spreading a little joy can make in our world! “Never apologizing for who we are and embracing us” – Love it! So glad you found your smile and your happy place, Ingrid. Very liberating post, Ingrid. I read a great post about joy versus happiness the other day very similar thoughts. Ah. Makes sense because I heard from her about that post. I’ll have to check it out!